Ever since our daughters were born, we noticed there was the lack of opportunities for them to experience cultural, literary and social activities in Spanish where we live. 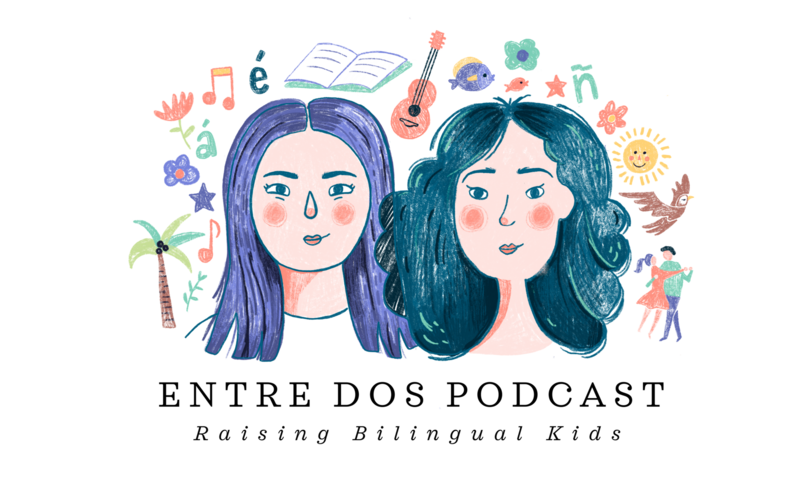 With that in mind and with a little nudge from a listener and friend, we’ve decided to try our hand at hosting a Spanish Playtime hour in Houston. We hope this will become a series of events in our home cities of Houston and Miami – because we believe that children should have the opportunity be exposed to their minority language outside the home. 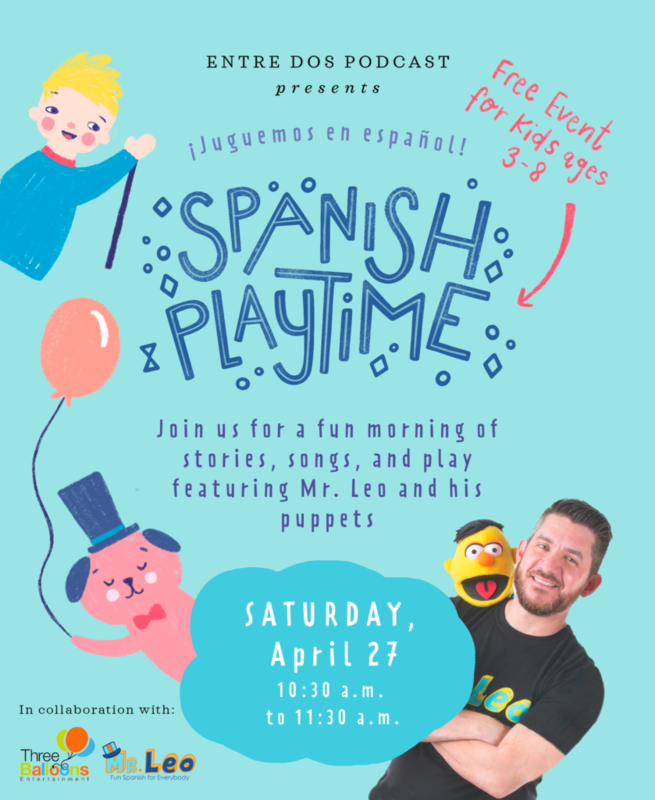 Mr. Leo and his puppets will treat you to a morning of stories, songs, and play in Spanish. Recommended for ages 3 to 8. Parents must stay with their children. This event will be held in the Montrose area of Houston. Please RSVP HERE and we will send you location and parking details as the date approaches. In collaboration with Three Balloons Entertainment. Join us for a fun insect-themed afternoon en español. 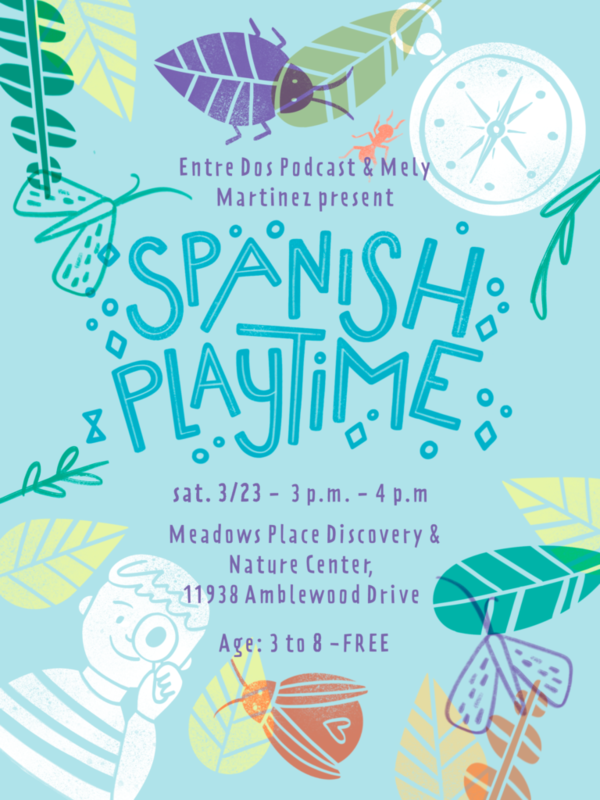 Our first Spanish Playtime,* presented in collaboration with Spanish teacher and friend of the pod, Mely Martinez, features a story followed by play and crafts. *Parents must stay with their children during the event. **Registration is not required, but we would greatly appreciate it as it will help us better plan for the event.